Every year this thing seems to get bigger – more categories, more votes, and more fun. It’s the results of the Volume One Best of the Valley Reader Poll! You’ll notice this issue looks a little different than usual. That’s because we’ve ditched much of the usual content in favor of immortalizing the top three vote getters of more than 150 different categories from food to entertainment to hotly debated issues. It’s all organized into eight sections that run the gamut of local life, giving a snapshot of what you Chippewa Vallians are currently loving, hating, or just sitting around thinking about. All the event calendars and listings for the next couple weeks are still here, tucked in the back where you usually find them, so no worries there. Log on to VolumeOne.org and make some comments on the poll, or send us letters on who/what you thought should have won, agree with our readers’ picks, or let us know how it could be done better. We love the input. Thanks! 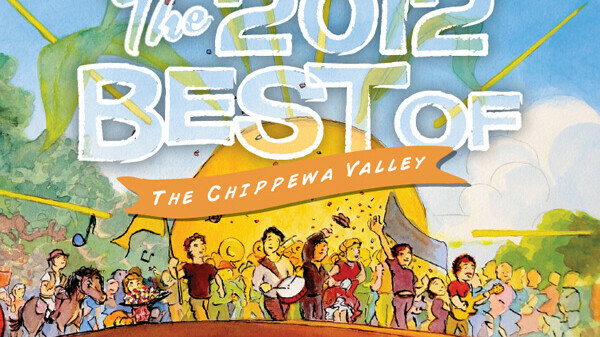 Check out the 2012 Best Of results!